Paper music book with full chord charts lead sheets and acetates of Hillsong's 17th live album release 'This Is Our God'. In March 2008 thousands of worshippers gathered to fill the Acer Arena in Sydney as Hillsong Church recorded their latest live worship album. We come together and we say 'This is who we are God. We need You we love You and we're going to give everything to You'. Joel Houston Hillsong Creative Director said. A number of new songwriters worship leaders and musicians joined Reuben Morgan Joel Houston Darlene Zschech and Marty Sampson on the platform capturing the sound of a new generation and entering into a new season of worship and song. 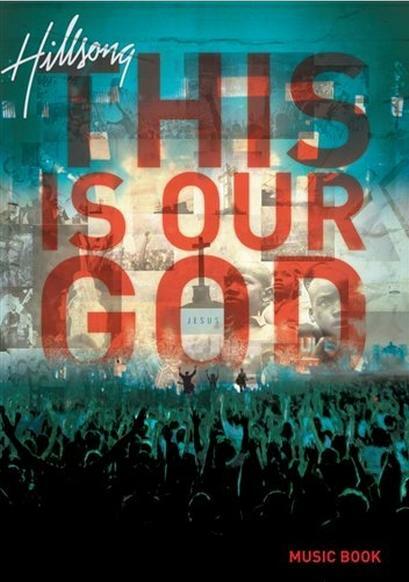 Hillsong - This is Our God Music Book by Hillsong was published by Hillsong in August 2008 and is our 14709th best seller. The ISBN for Hillsong - This is Our God Music Book is HMAMB216. Be the first to review Hillsong - This is Our God Music Book! Got a question? No problem! Just click here to ask us about Hillsong - This is Our God Music Book.